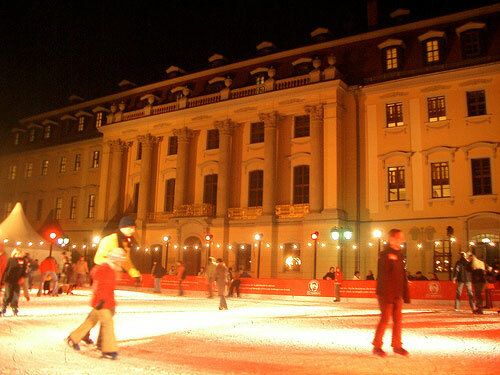 The state capital of Thuringia is festively decorated in Advent. Influenced by one of the best-preserved medieval city centers in Germany, the city is a superb blend of rich patrician houses and fondly restored half-timbered houses. Christmas melodies and the aroma of mulled wine and gingerbread is in the air everywhere you go. The Domplatz is the city`s center of attraction, where you might have the feeling to land in a very different world. Right below the cathedral dominates the Ferris wheel, while on the left side you can find the large Christmas tree. Best thing is to take the steps to the cathedral first – to get yourself an overview of the hustle and bustle. If you planned to have plenty of time for your Christmas stay, then take the chance to visit the medieval streets and alleys with their churches, like the famous Krämerbrücke (merchants bridge), the Fishmarkt or the Church of St. Severus. Our top tip: Combine your visit of one of the most beautiful German Christmas markets with a shopping stroll and a guided tour into the historic Old Town. On the historical Christmas market at the Wartburg in Eisenach you can travel into the past. At the four advent weekends you will meet historical artisans such as candlemakers, soap boilers or masons. Further, herb women and traveling merchants offer medieval goods. The market – which has its presence at Luthers historical place of activity for the 8th consecutive year now – starts tomorrow, Sat, 29th November and stays until the 21st of December. Shop-hours: Mon-Fri 10-19 Uhr, Sat 10-20 Uhr, Sun 11.30-20 Uhr. In Advent, Thuringia tourists can discover Christmas traditions on numerous markets and festivals. To give you the perfect guide when and where to go at „the best time of the year“, we would like to present you our new sequence „Christmas travel in Thuringia“. The city of Weimar is well-known for its Classic history, with famous litaries such as Goethe or Schiller. So beeing a traditional destination, this year`s pre-Christmas period will reflect on the origins of Christmas festivities. 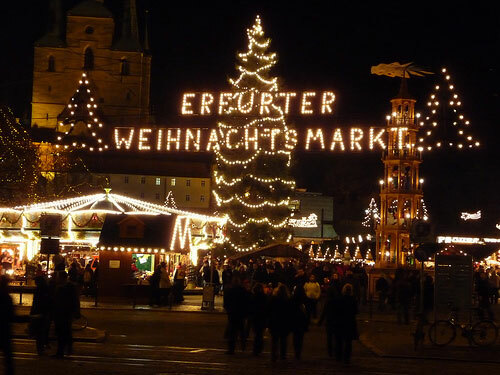 The local market, the so called „Weimar Christmas“, will open with a customary choir concert and provide the presence of the pastors of the Protestant, Catholic and Russian Orthodox church on November 24th. 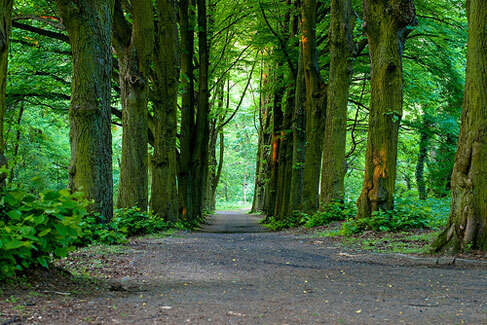 Thuringia is seeking the nomination of the unique beech forests of the National Park Hainich as a UNESCO World Heritage site. For a corresponding application to support the nomination campaign, also the Thuringian Minister for Agriculture, Nature Conservation and Environment Dr. Volker Sklenar championed this project in his speech to the Thuringian Landtag. By this years autumn, a joint request of selected German beech forest regions in Thuringia, Mecklenburg-Western Pomerania, Brandenburg and Hesse under the aegis of Thuringia will be developed. This will justify the inclusion of beech forests as a world natural heritage and is supposed to be submitted to the World Heritage Committee in early 2009 for its examination. The nomination will range – according to current planning – until 2010. Finally, the confirmation as a world natural heritage is expected for the year 2011.